along MN State Highway 12 in west central Minnesota. Ben & Joe could even get on their snow pants and boots. 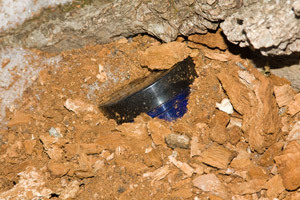 The cache was frozen so we carefully chipped away the rotten ice to remove the container. I did not know that there was a park here let alone a small campground.